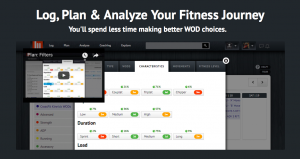 The Ben Smith Blueprint has teamed up with Beyond The Whiteboard for the most effective combination of workout tracking and programming around. Included in your Blueprint subscription will be a CrossFit btwb account. 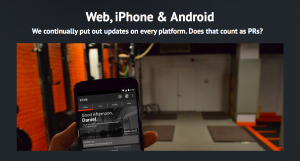 Follow along with workouts from one of the most decorated CrossFit athletes ever while you track your progress with intuitive CrossFit btwb features like Fitness Level and Weaknesses. You’ll also have the opportunity to be ranked on leaderboards against Ben Smith, his team, and other Blueprint subscribers. Ben is 100% confident in the ability of The Ben Smith Blueprint to improve your overall fitness; it’s worked for him, his team, and his gym for years. With the inclusion of CrossFit btwb, you now have the opportunity to witness the results for yourself.